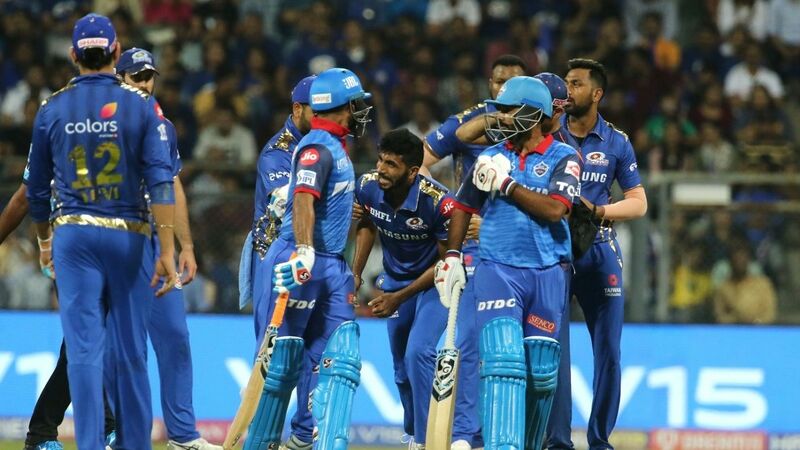 Indian cricket held its collective breath as Jasprit Bumrah seemed to hurt his left shoulder after falling over in his follow-through on the last ball of the Delhi Capitals innings in Mumbai Indians’ first match of the IPL 2019. There has been no official word on the nature of the injury but the Indian selectors and team management would have their fingers crossed on the fitness of Bumrah, their main strike bowler, with the World Cup just over two months away. The incident took place when Rishabh Pant dug out a perfect toe-crushing yorker speared in by Bumrah from around the wicket. Bumrah attempted to intercept the ball with his left hand, but could not pick it up cleanly. As the ball rolled to his left, Bumrah scrambled to stop it, but immediately lay flat on the ground grimacing in pain while holding his left shoulder. Mumbai captain Rohit Sharma, Pant and others were around him straightaway. Nitin Patel, the Mumbai physiotherapist, dashed into the middle to check on Bumrah. On his walk back to the dressing room, Bumrah did not move or raise his shoulder even once. Last July, Bumrah had picked up a freak finger injury while unsuccessfully trying to take a return catch in the first match of the T20 series in Ireland. That injury grew into a finger fracture, forcing Bumrah to sit out the limited-overs series in England as well as the first two Tests of the tour.